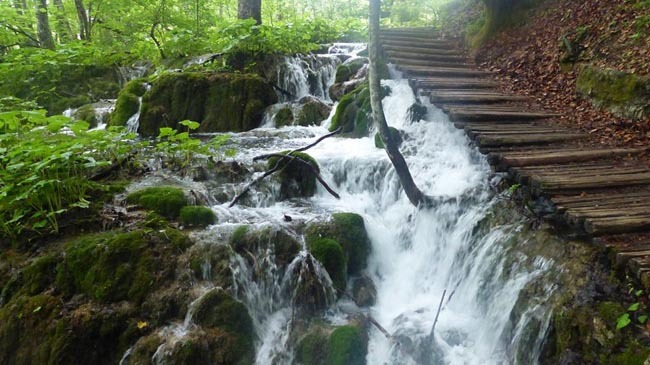 At the Plitvice we admire spectacular vistas provided by 16 lakes, each at a different level, joining together in cascading waterfalls. 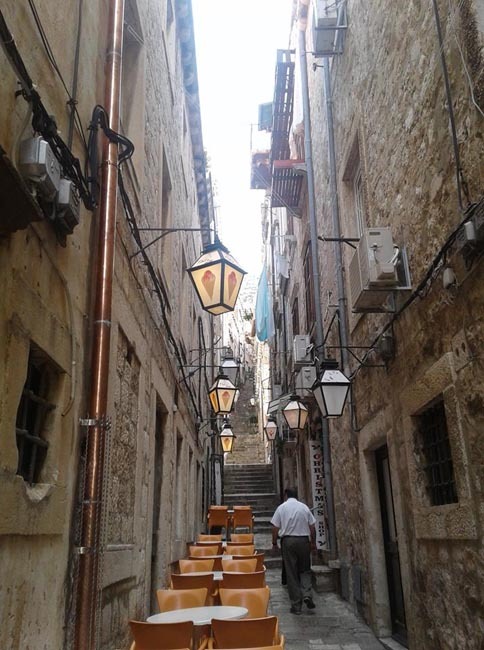 The historic town of Zadar was once the capital of Byzantine Dalmatia and offers no end of fascinating sites; our walking tours through Trogir and Hvar prove equally rewarding with their narrow streets, beautiful palaces, and majestic cathedrals. 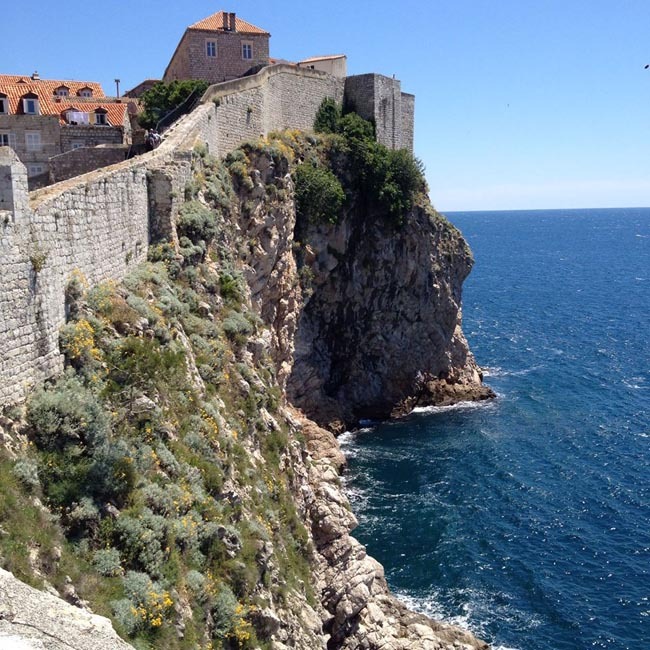 There's no better end to any tour than spending time in Dubrovnik, often referred to as "The Pearl of the Adriatic". Arrival in Zagreb, the capital of Croatia. 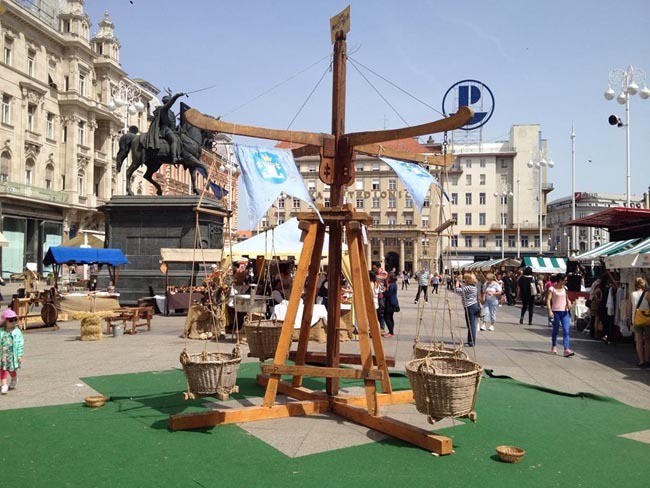 Today we have a sightseeing tour of Zagreb, including Governor Jelacic Square, undoubtedly the very heart of the capital of Croatia. 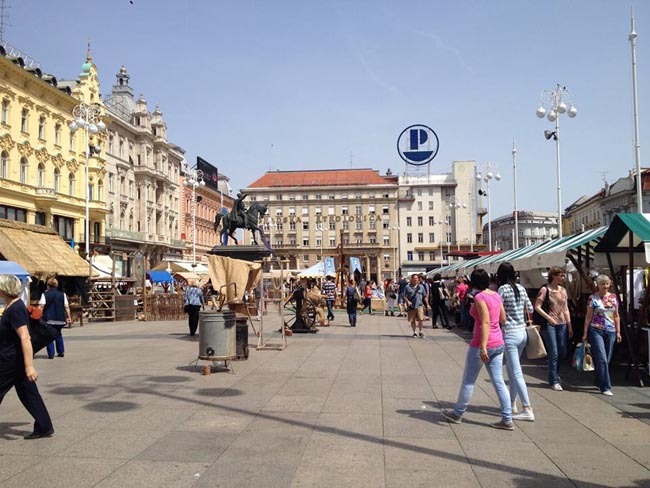 Located in Zagreb's center, the Square is dominated by the Statue of Josip Jelacic, who became the Imperial governor of the triple Kingdom of Dalmatia, Croatia, and Slavonia on the 23rd of March, 1848. We continue to Tkalciceva Street. 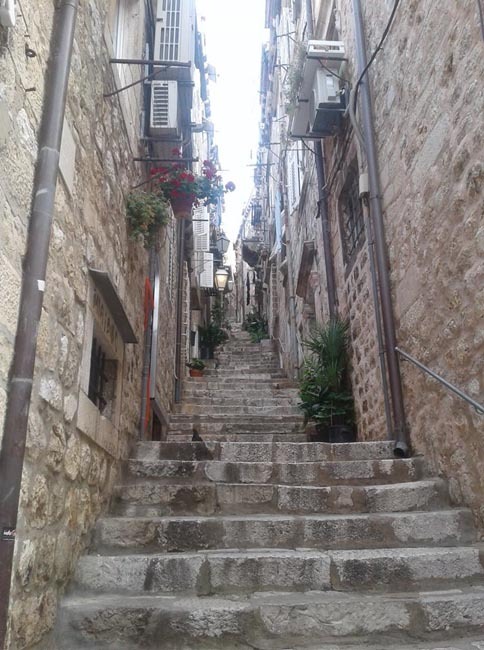 In the District of Graced, we take a funicular from the Lower town to the Upper, which has connected, for centuries, the old part of town with Ilica Street, the main shopping area. 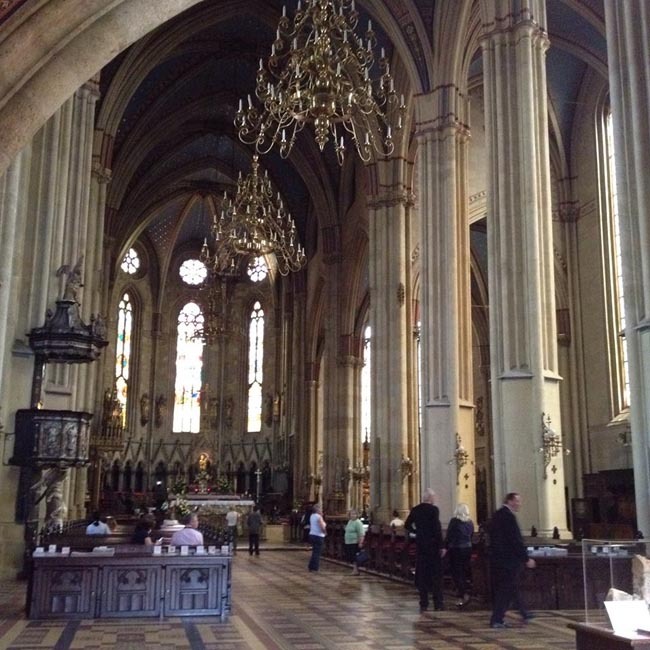 We will then stroll back down to Kaptol, St Catherine's Cathedral, Church of St Mark, St. Stephen's Church, and Burglar's Tower. 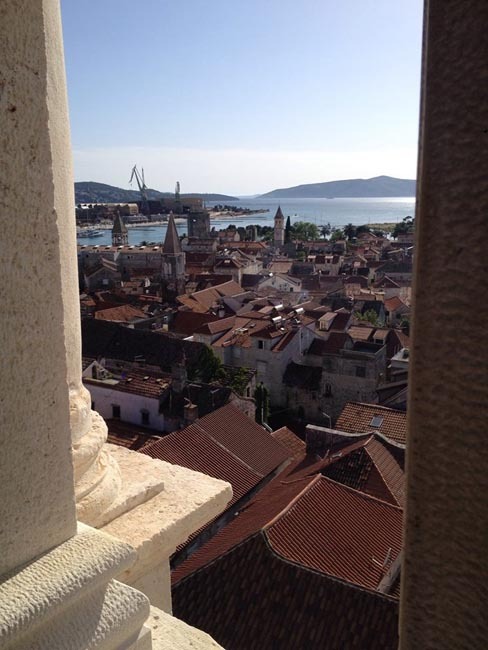 We continue our stroll along the promenade on the side of the tower to enjoy a view of the city. 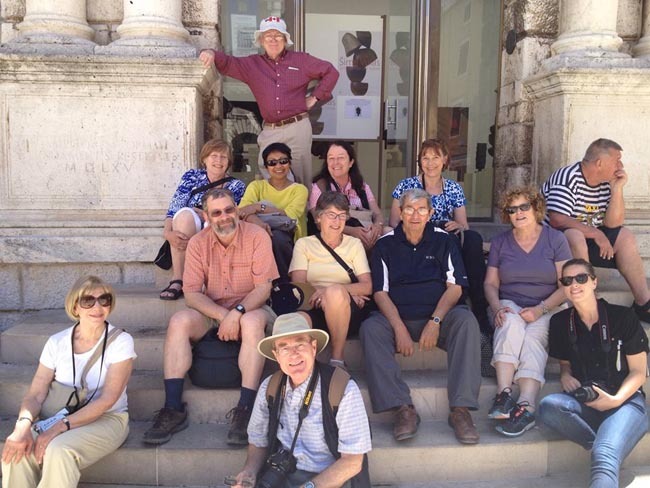 This morning we depart for the Varazdin region, famous for wine production. As we travel through the region we will stop at one of the local wineries for a tour and tasting. We also discover the ancient Croatian capital of Varazdin, an old town of rich tradition and bourgeois elegance, famous for its Baroque architecture, flower-filled alleys, parks and greenery. 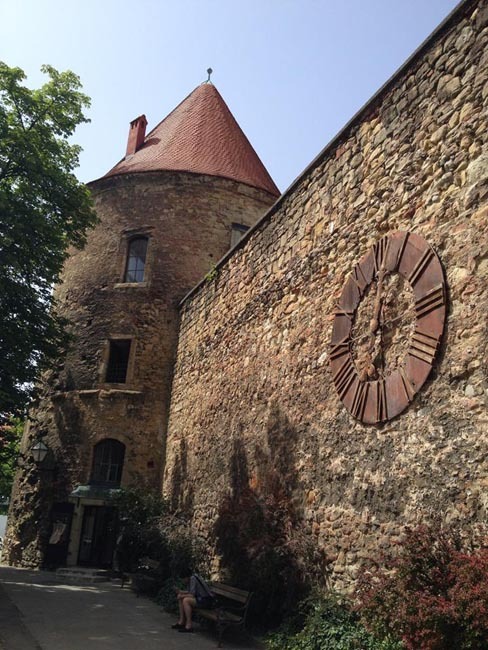 Our intended accommodation is Dvorec-Bezanec Castle, a private estate that has been converted to receive guests. 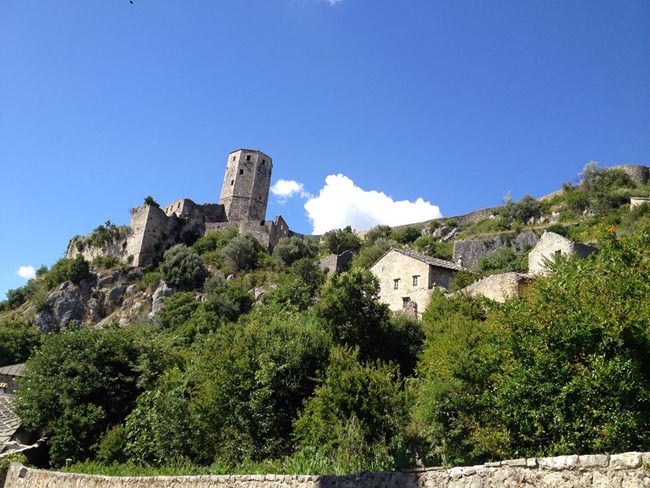 Originally built by Count of Kegleviae in 17th century, Bezanec Castle was subsequently owned by a series of Barons. Due to its architectural features and landscaped gardens, Bezanec Castle is one the finest, privately owned stately homes in Croatia. 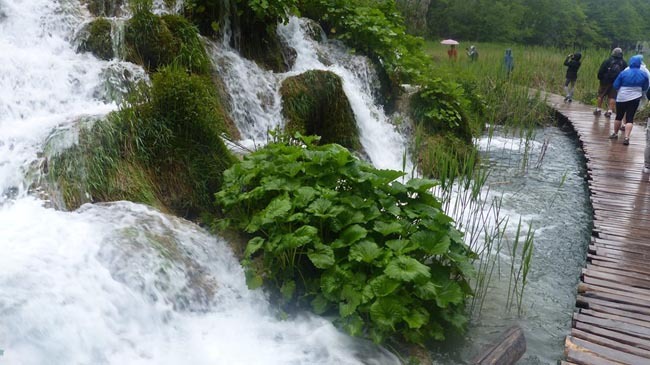 This morning we depart for Plitvice where 16 lakes, each at a different level, join each other in a series of cascading waterfalls. Travertine terraces have been continuously reforming themselves over 10,000 years as calcium carbonate dissolves and settles, forming barriers and cascades. Imagine Niagara Falls diced and sprinkled over a heavily forested Grand Canyon. This lush valley of terraced lakes is laced together by waterfalls and miles of pleasant wooden-plank walks. 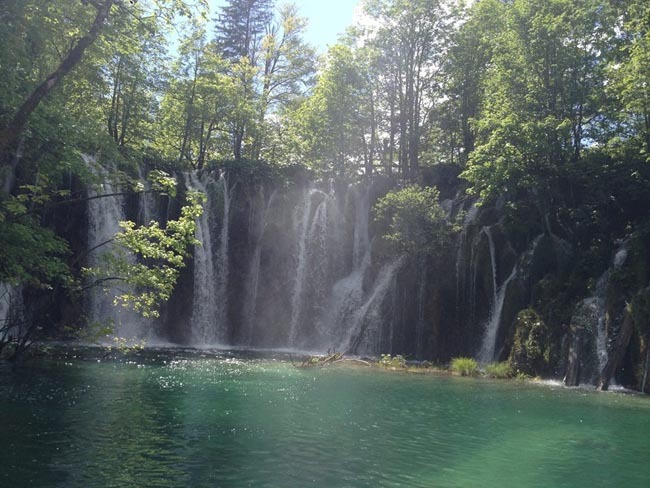 Countless cascades and strangely clear and colourful water make the Plitvice Lakes National Park a misty natural wonderland. The ever-changing fluid landscape -- created by water, gravity, limestone and time -- is mesmerizing. We will follow wooden paths on our walk around the Lower and Upper Lakes. Look for wildlife --the park is home to deer, wolves, wildcats, wild boar, and more than 160 species of birds (from eagles to herons to owls). The lakes (and local menus) are full of trout. The entire area is protected as one of UNESCO's Natural World Heritage Sites. 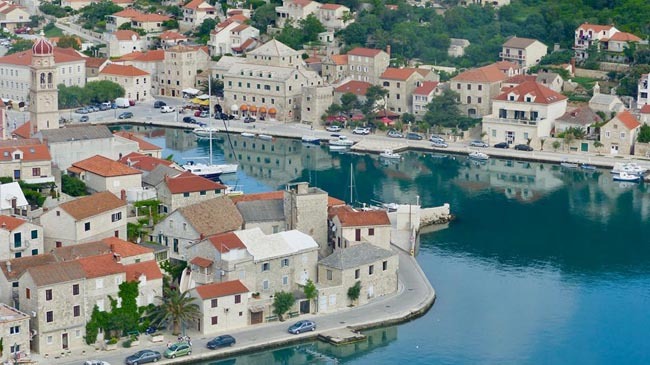 We continue on to the medieval town of Trogir, one of the most beautiful and popular towns of the Dalmatian Coast. 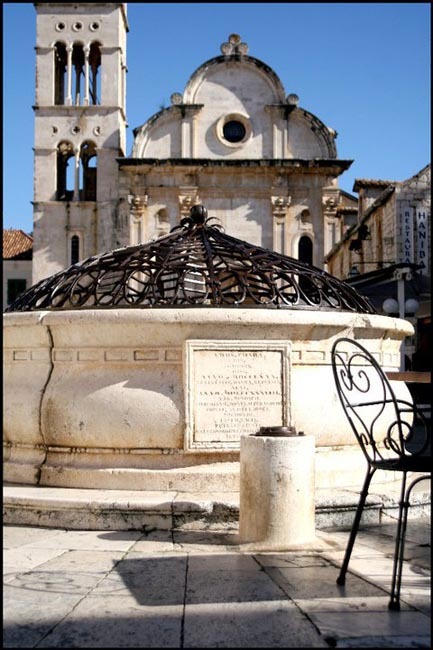 The heart of this Venetian walled town is Narodni Trg, with its white stone paved square, Cathedral, Communal Palace and Loggia. 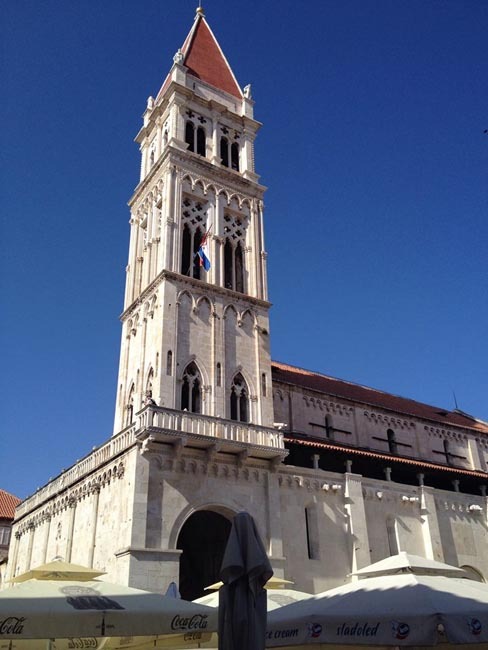 We visit the Cathedral of St. Lawrence, built between the 13th and 15th centuries by Slavic masters. 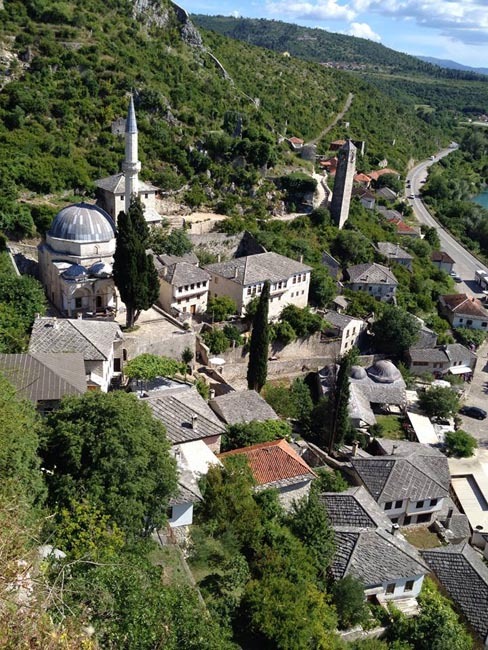 The entire town has been preserved as yet another UNESCO World Heritage Site. This evening is free to stroll and dine at your leisure. 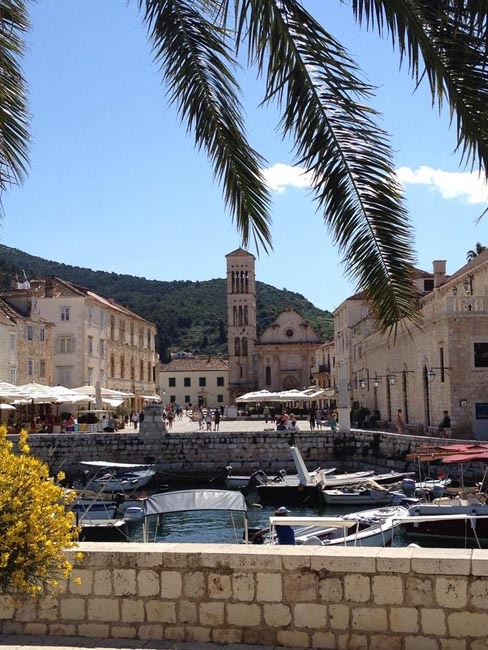 Overnight in / near Trogir. 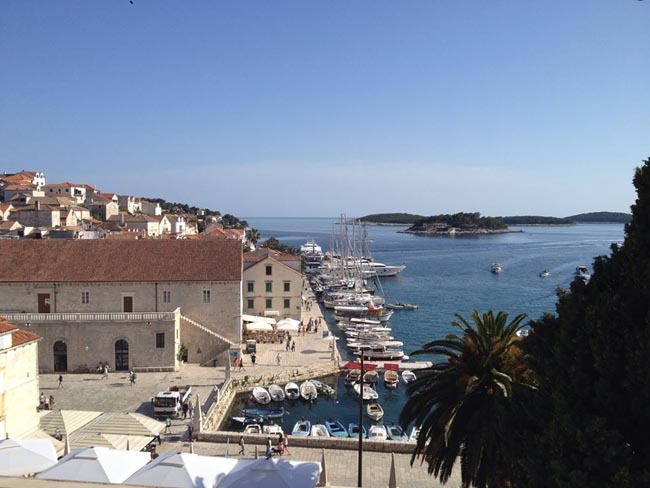 This morning we travel to the island of Hvar via Split (ancient Spalato), the second largest city of Croatia. 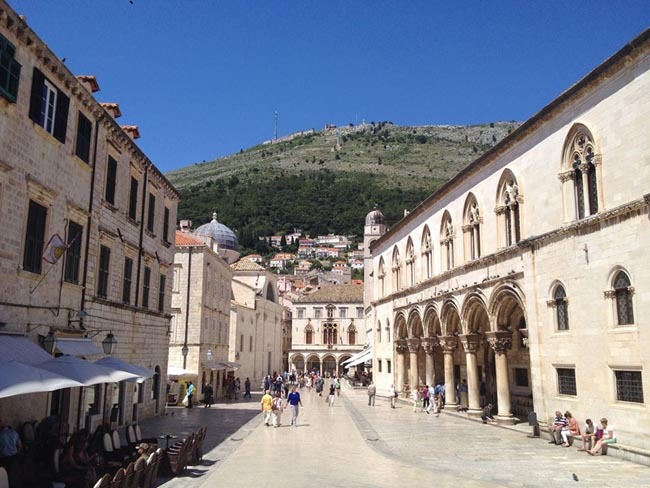 The historic city center actually lies in the walls of the enormous retirement Palace of the Roman Emperor Diocletian, built between 295-305 AD. 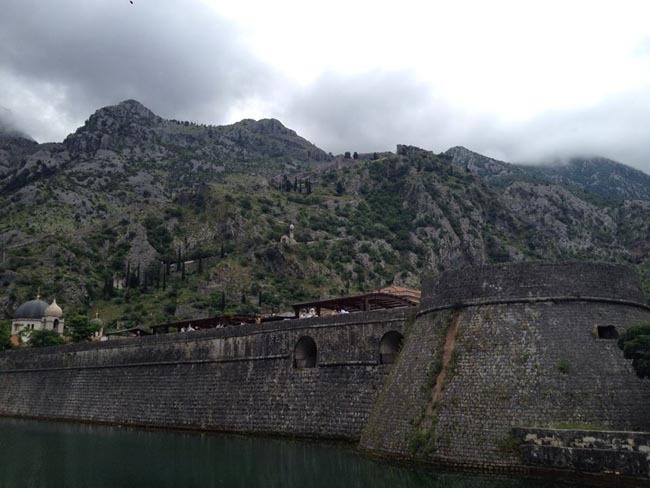 The palace served as a palace, military fortress, and later, a fortified town. The city is enclosed by huge walls, pierced by 4 main gates, one on each side of the rectangular plan. 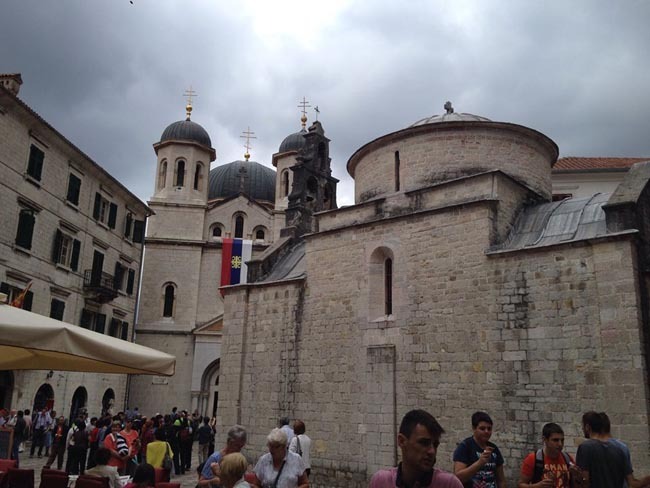 Split usually has a lively morning market. 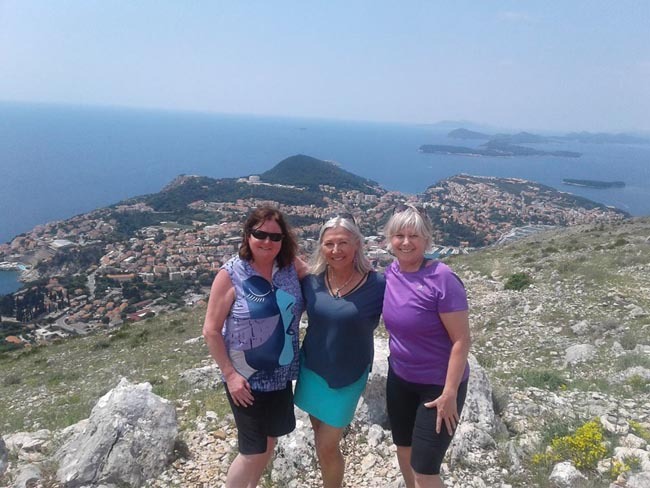 Today we get out onto the water and enjoy a full-day cruise to to the island of Vis and the beautiful Blue Grotto on the island Bisevo. 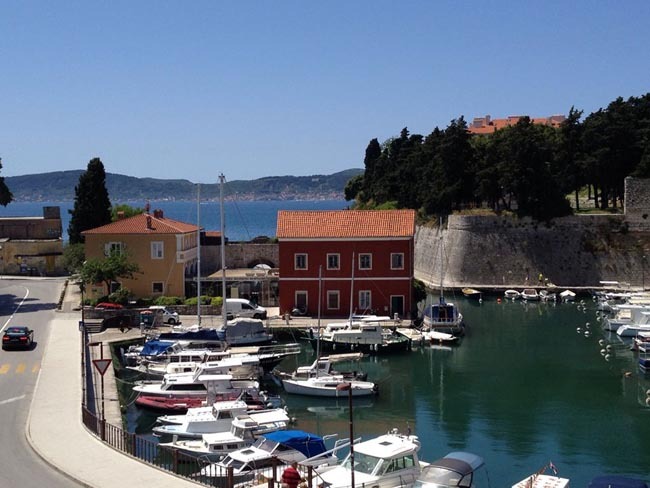 It is about a two-hour sail to Vis, the outermost of Croatia's inhabited islands. 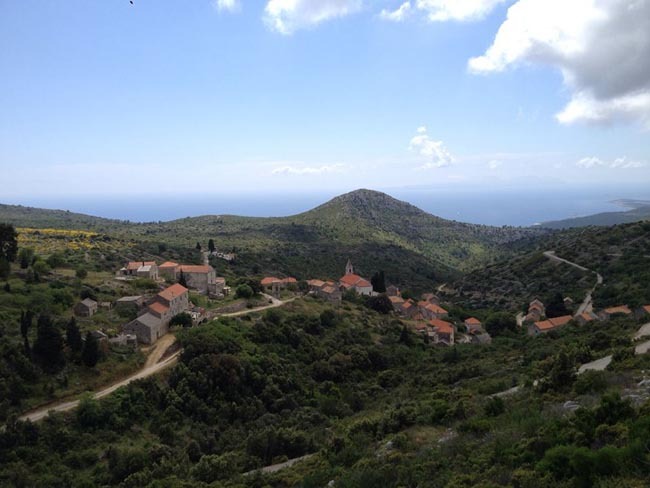 Here we stroll though the enchanting seaside town of Komiza and visit one of the two best wineries on the island. After a seafood lunch (non-seafood alternatives available), we continue to the nearby island of Bisevo and into the entrancing Blue Grotto, where water-filtered sunlight shines in to bathe the cavern in an eerie, shimmering blue. 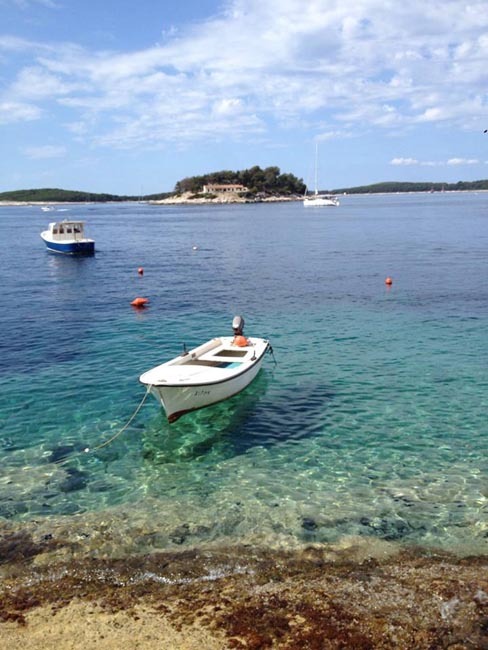 Return to Hvar in the late afternoon. Time, peace and prosperity have helped heal the scars of war and new national legislation has given first-time recognition of LGBT partnerships. 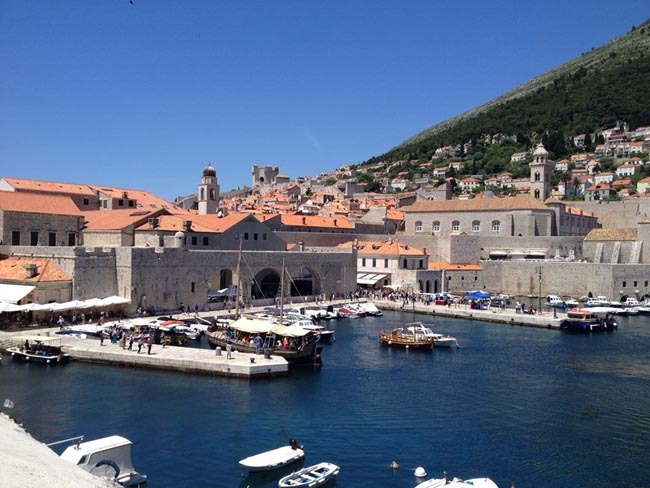 Over the last decades Croatia has undergone unprecedented progress. 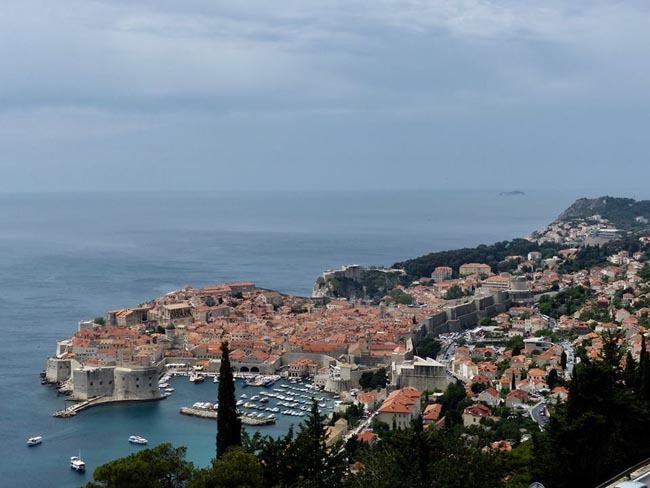 Since the fall of Communism in the late 1980s and the struggle for independence and democracy in the early 1990s, the gay scene has begun to develop in Croatia and society is moving towards liberation in its view of homosexuality. 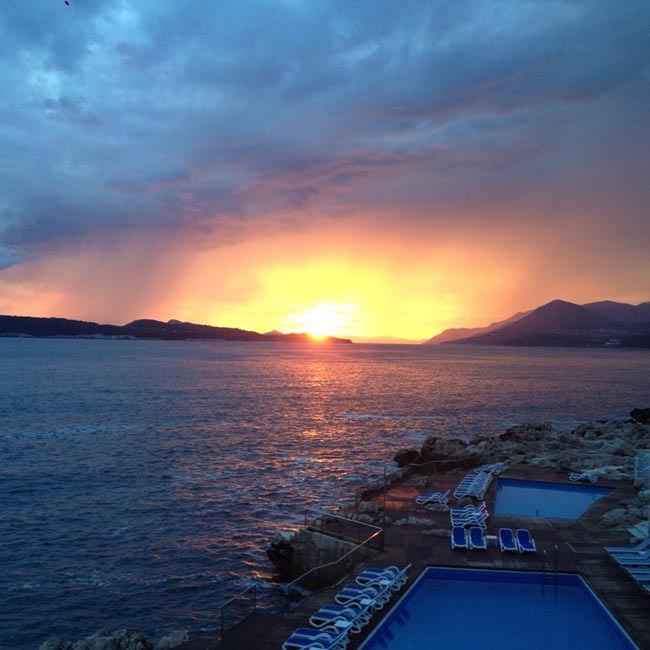 In recent years the Dalmatian Coast has become a popular holiday destination for gays and lesbians from around the world. 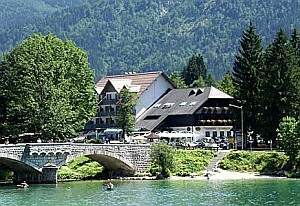 Well-located, air-conditioned, mid-range hotels and inns (3/4 star) used throughout. Some hotels are smaller properties (3-4 story) that may not have elevators. All hotels have en suite bath. Porter service is sometimes available though you should be independent with your luggage. Single rooms are limited in number and likely smaller than twins. 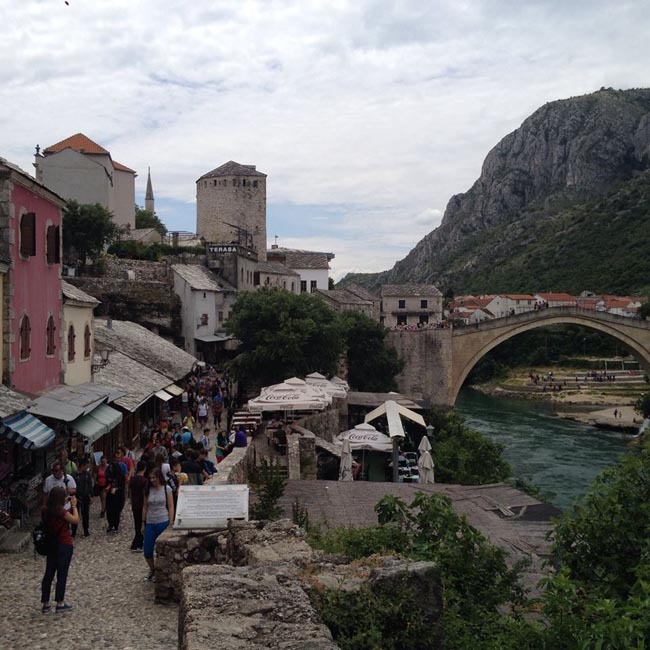 This tour is offered in spring and early autumn when temperatures are relatively mild, crowds a bit thinner, airfares lower, and ferry schedules more convenient. spring is popular with visitors who enjoy green landscapes and wildflowers. 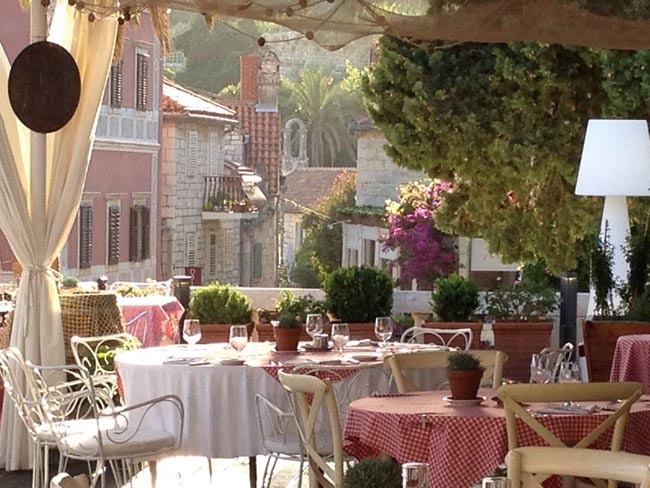 The region has a mild Mediterranean climate with early springs, long hot and dry summers and autumns that are bright and warm into late October. Showers are possible in spring and possible, though unlikely, in autumn. 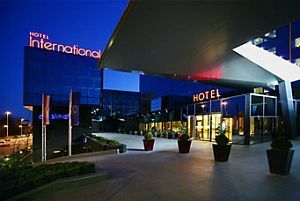 The newly refurbished Hotel International is located in the heart of the Zagreb, just minutes away from the main square, museums and other cultural sites. The hotel offers spacious rooms, completely renovated, air conditioned, with wireless internet access. 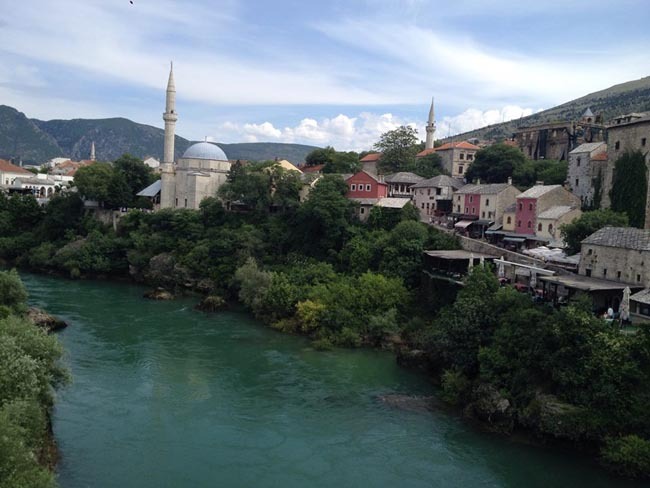 Jezero Hotel offers a relaxing and active holiday in a wonderful natural environment. The hotel interior is modern, and its external contours are perfectly integrated with the surrounding nature. It is located in the central zone of the National Park, approx. 300 m from the vastest lake, Kozjak. 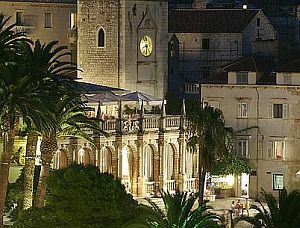 As the oldest hotel in Hvar, The Palace is a grand dame framed by Gothic and renaissance architecture. 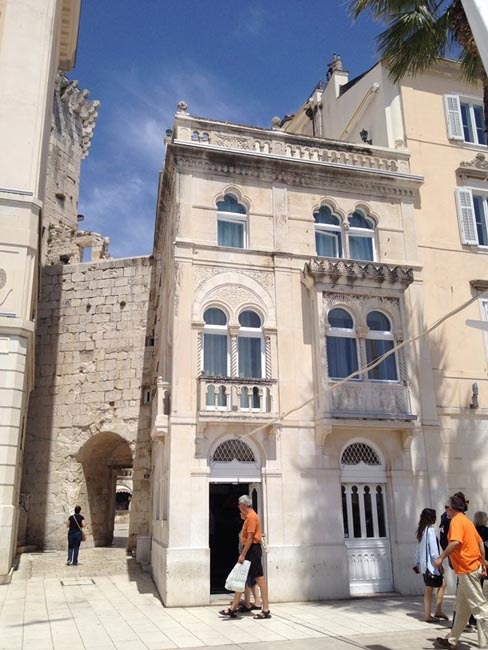 History lovers will particularly enjoy its central location, which provides romantic views of the ancient piazza and neighboring buildings. The rooms at The Palace have been equipped with modern fixtures and furnishings that provide comfort and convenience while allowing guests to thoroughly enjoy all the natural charm and beauty of this historic hotel.